July 9th the Preston Carling Secondary Plan was approved by City Council This has been the culmination of over 3 yrs of work. The following 4 motions were submitted by our councillor, supported by CHNA and approved. 1. To limit height at the northeast corner of Loretta Avenue/Hickory Street to 6 storeys, whereas planning staff were recommending 9 storeys. 2. That staff be directed to prioritize an area-wide traffic study of the Preston-Carling District Secondary Plan area once either 2,000 housing units or 1,000 jobs are added within the study area, using January 1, 2006 as a baseline measurement. 3. That staff be directed to confirm that Bayswater Avenue south of Gladstone Avenue, Champagne Avenue South, and Beech Street will remain classified as Local Roads in the Official Plan. 4. 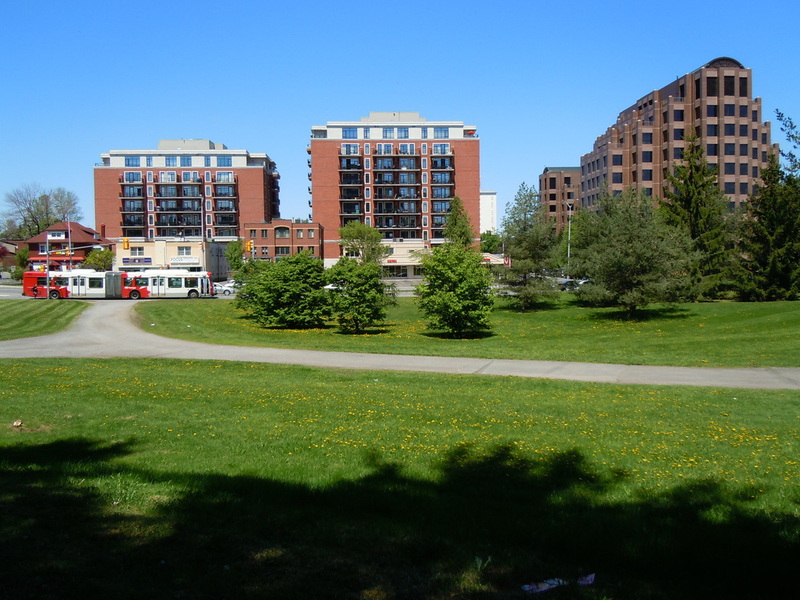 That when reviewing development applications staff be directed to seek to maximize usable and programmable green space and to ensure safe and convenient pedestrian and cycling pathways on properties municipally known as 870 Carling Avenue, currently owned by Public Works and Government Services Canada (Queen Juliana Park). 5. That staff be directed to explore options for expanding Ev Tremblay Park, including land acquisition and potential land swaps with adjacent development sites. City Planning Committee met on June 24th to to review the Carling-Preston Secondary Plan and CHNA presented our concerns. This is the culmination of over 3 yrs of work and our allotted 5 mins presentation tried to summarize key points and raise any new issues! The text of our presentation is attached. We supported 4 motions submitted by Councillor Hobbs and are working with her office to develop one more motion that will see max height restrictions set in metres as well as storeys to avoid developers being able to "biggie size" their projects. Next steps: The secondary plan goes to full City Council on July 9th for approval and votes on the motions. May 15, 2014: CHNA provided a wide range of comments to the City on the Revised Final Draft of the Preston-Carling Secondary Plan. We strongly oppose the excessive height for the buildings in the Preston Carling district which will overwhelm the existing community and flood neighbourhood streets with vehicular traffic. We again call for an area-wide traffic study so mitigation measures can be put in place to manage the ever-increasing traffic problems in our community. CHNA also opposes the city’s proposal for development on Queen Juliana Park, arguing that with intensification, existing park and green space is more important than ever for a healthy community. The text of the CHNA submission is attached. May 6, 2014: CHNA submitted numerous recommendations to the City on the Revised Final Draft of the Preston-Carling Public Realm & Mobility Study. While pleased that some of our comments on previous drafts have been implemented, we continue to oppose numerous proposals because of the negative implications for our neighbourhood. Among our key recommendations is a call for an area-wide traffic study so mitigation measures can be put in place to manage the ever-increasing traffic problems in our community. The text of the CHNA submission is attached. CHNA has been actively involved in City of Ottawa consultations concerning the Preston-Carling Public Realm & Mobility Study, including organizing resident-only meetings and preparing detailed submissions. The final version of this Study is close to completion. CHNA continues to have serious concerns around some of the components of this Study and provided comments on the current draft to City Planners on February 5, 2014. The text of the CHNA submission can be found below. · In April, the final CDP, following over a month to review the plan and comments/criticisms, will be condisedered by Planning Committee, which will be another opportunity to un-addressed concerns to be voiced and addressed. · Following that, Council will consider it for policy. In the time between Planning Committee and Council, any additional unresolved issues, if any, can be resolved as well. The next (and final) Public Realm and Mobility Study Public Session will be held at 18:30 - 20:30h on December 9, 2013 at the Tom Brown Arena, 141 Bayview Road. Come and review the final draft of the plans and make your opnions known to the consultants and city staff! As a result of the meeting of Sept. 4th, the CHNA collated the written and spoken comments of concerned residents into a document to submit to the City’s consultants for the deadline of Sept. 16th. Below is a copy of the submission along with supporting info. It is expected that another focus group meeting and full open house on the issue will be held in early October. Stay tuned here for further announcements. Kathy Kennedy, Peter Eady and Tony Lovink worked hard to prepare this and feel that it captures residents’ opinions and concerns and suggestions. On September 4th, neighbourhood residents met to review and discuss the Public Realm and Mobility Study; Kathy Kennedy and Peter Eady, the residents’ focus group reps, ran through the full presentation as developed by the consultant, The Planning Partnership. Residents were told of the background of the CDP process, the nature of the study, terminology and it’s benchmarks and schedule. As such, residents are asked to submit their comments by end of day Monday, Sept. 9th totraffic@chnaottawa.ca. Below, is the presentation from this meeting. Click the first link to download or use the online viewer to browse. The City has appointed its consultants for the Carling-Preston Public Realm and Mobility Study. Kathy Kennedy and Peter Eady are acting as the residents’ 2 focus group reps (others from Dalhousie C.A. also) for the Public Realm; Tony Lovink is the residents’ focus group rep for the mobility portion. One of our obligations is to go into the community and get ideas, comments, complaints, etc. and distill them into the discussion with City Staff and the consultants. There will be a series of public open houses involving the City, consultants, etc. so the point of this meeting is to explain the process, go point by point through the workbook items and background material gather comments. The process will continue through the fall with the results being submitted to the City and then on eventually to the Planning and Development Committee and then City Council for ratification.